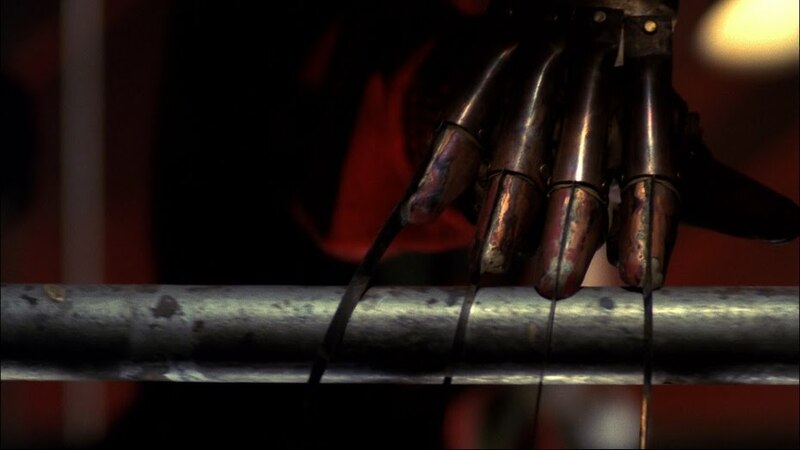 Perhaps the single most recognized and imaginative weapon in film history, Freddy's clawed glove represents Hollywood imagination at its most primal. It inspires both fear and admiration. That it was conceived by a child molester/murderer for the purpose of savoring the killing of his victims was all but lost on the generation of young movie goers for whom Krueger would emerge as an icon. 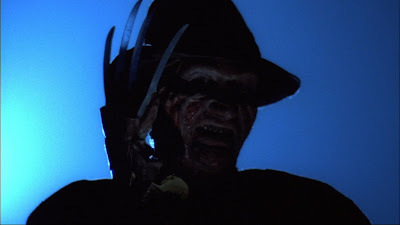 The original A Nightmare On Elm Street downplayed Freddy's pedophilia to avoid accusations of exploiting a then recent scandal involving sexually abused children. It remained a rather vague subtext, restlessly stirring underneath the dream demon/slasher angle. Freddy is shown constructing his prized weapon in an opening credits montage. He lovingly attaches every hinge and smooths out malleable metal sheets around a ratty leather glove. That's part of its charm: It very much looks like something that any black smith or metal worker could construct. It was modern for its time, yet strikingly primitive. No movie monster before or since has had such a novel weapon, one that tells you everything you need to know about him at a single glance. Freddy savors his kills. He lives to scare, torture and kill children. That he evolved into a symbol of cool for an entire generation of kids is both a testament to Robert Englund's charisma and America's attraction to the perverse and macabre. The thin curved blades that protrude from the metal shells slice, stab and rake flesh as easy as butter. They are not as powerful or as fearsome as Leatherface's chainsaw or Jason Voorhee's machete, but they are infinitely more interesting. Loud power tools have no personality. They are too impersonal. The same goes for huge knives and cleavers. They still leave the killer at arms length from his victim. Freddy's glove requires that he reach out and touch his victims. It is an extension of his evil, a literal part of him. We see him make it and put it on, but we never see him take it off. It isn't simply something he picks up and uses. It fuses with him, forming a symbiotic relationship. The actual functionality and practicality of the glove is anyone guess, but its onscreen impact is undeniable.